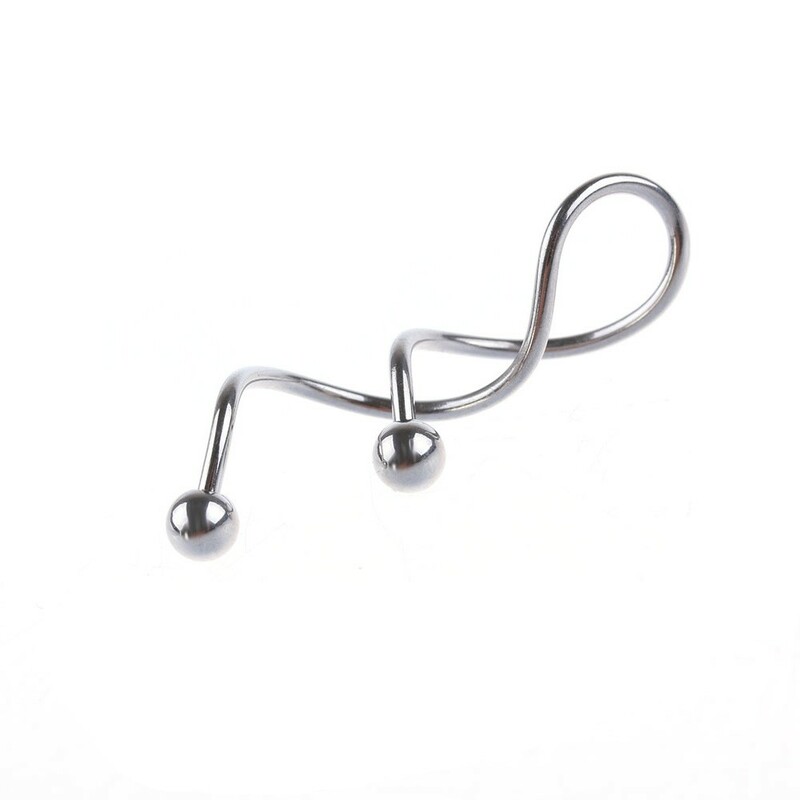 The widest part between the bars is 9 mm, this is on ball part and with the last curve. 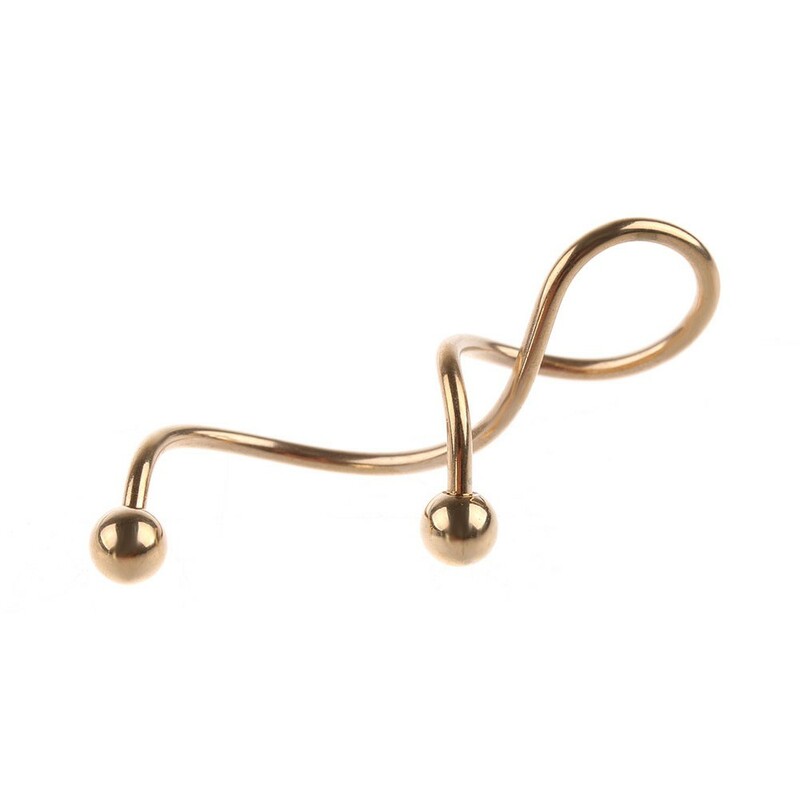 The narrowest part between the bars is 4 mm, this part is in the middle of the piercing. 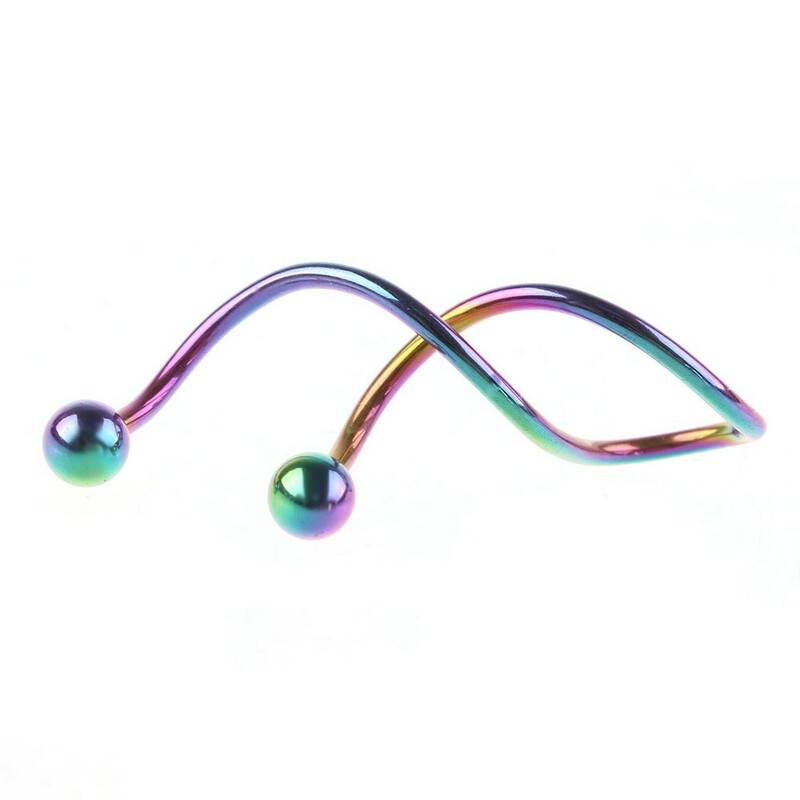 The bar length is 34 mm, this is from the inside of the bar (last curve) to the first ball.